Wednesday was a very disappointing day for a medically kidnapped teenager in Michigan and her family. Leiani McMichael, her mother Rebecca Campos-Santana, their family, and supporters all over the nation hoped that the Oakland County Family Court would allow this family to be reunited at last. Their hopes were dashed when this did not happen, and Rebecca is now being gagged from speaking out about the injustice that her family continues to experience. This hearing and gag order is the latest development in a heartbreaking story that began when previously healthy 16 year old Leiani became sick in February 2015. She had numerous doctors appointments and tests to find out what was causing her abdominal pain. One surgery left her in worse shape than she was before. When a hospital gave her medicines to which she was allergic, the mishap left her in a coma. 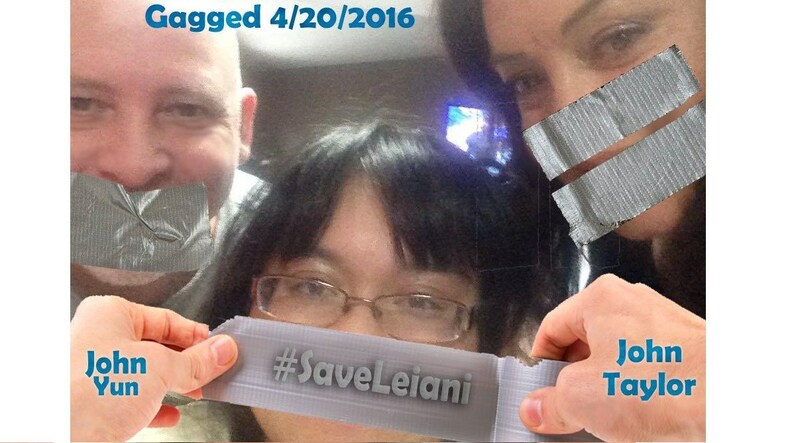 Instead of acknowledging the mistakes, Leiani was accused of making it all up. She was labeled with "conversion disorder," and her mother was accused of Munchausen by proxy, and later "medical neglect." A judge ordered Leiani to be reunited with her family earlier this year, but only on the condition that her mother move out of their home. With all available funds going to pay for attorneys, there was nothing left over to pay for a hotel. As a result, Leiani's mother sleeps in her truck, even during the cold Michigan winter. Gag orders are against the first amendment. When will attorneys start using this argument so paraents can tell of their abuse by the courts?